Last month I took a drive across New York, following the path of the Erie Canal. The canal represented the start of the industrial revolution in New York, providing raw materials and markets to allow the growth of industry, especially in the Albany area. Nowhere was that more true than in the city of Troy NY. 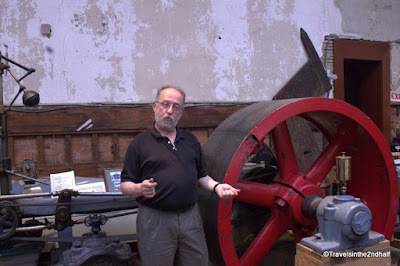 Today that history is lovingly maintained at the Burden Iron Works Museum. 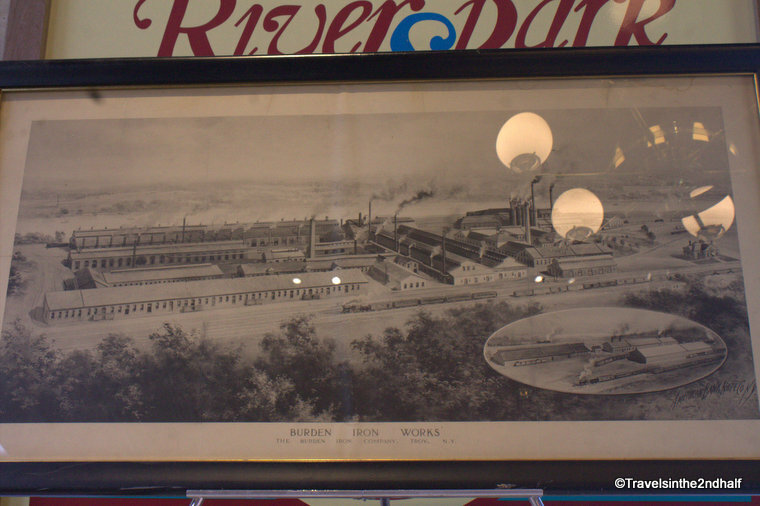 Troy, New York was one of the centers of industrial growth in the 19th century. It sits along a promontory the town that is between 200 and 280 feet high. There are two majr streams that drain from the Berkshire-Taconic plateau, the Poesten Kill and the Wynants Kill. The drop to the Hudson River provided the power that drove the development of industry in Troy. One of the largest of those was the Burden Iron Works. Henry Burden was born in Scotland in 1791 and immigrated to the United States to take a job as an engineer. He started working at the Troy Iron and Nail Factory, where he was taken in as partner, in exchange for sharing the rights to several of his patents. 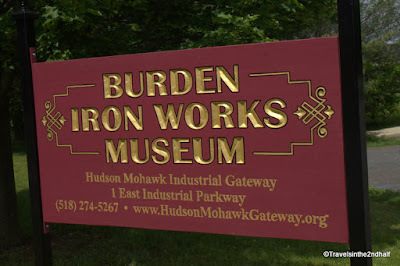 Eventually, he became the sole owner, and renamed it Burden and Sons Iron Works. His two biggest money makers were horseshoes and spikes. He developed a machine that mass produced horseshoes. This gave him the ability to supply them on a large scale to the U.S. Army, and he maintained the sole contract for horseshoes throughout the Civil War. 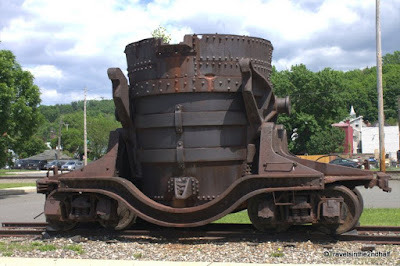 He also patented a way to uniformly form the domed head of railroad spikes. He became the main provider of spikes to the Long Island Railroad railroad. To power this factory Burden designed the most powerful vertical water wheel ever built, over 60 feet in diameter. This wheel produced more than 500 horse power. 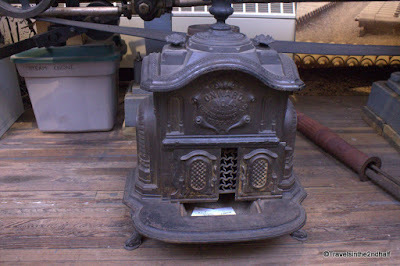 This was at a time when most steam engines could not produce more than 100 horsepower. 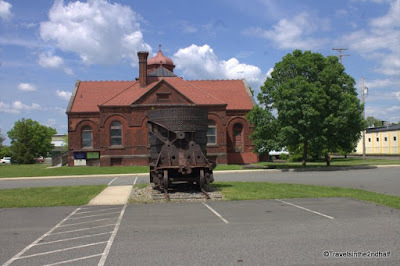 Almost all that is left of the massive Burden Iron Works is its administration building. 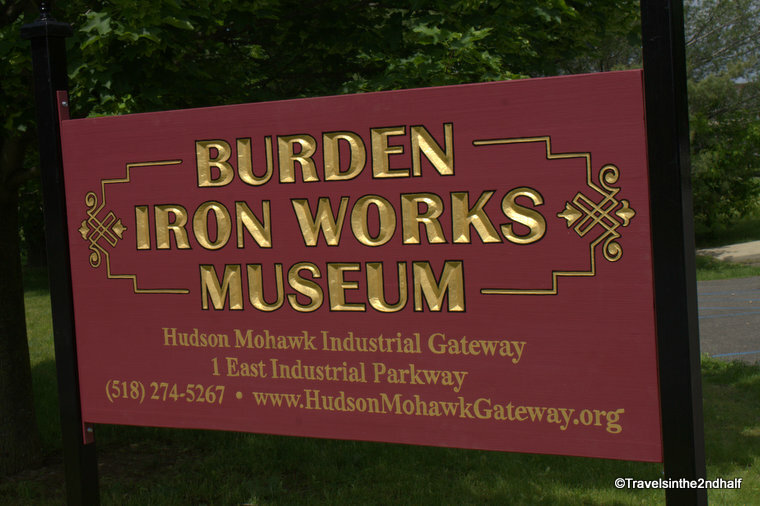 Built in 1882, this Romanesque Revival structure now houses the Burden Iron Works Museum, run by the Hudson Mohawk Industrial Gateway. 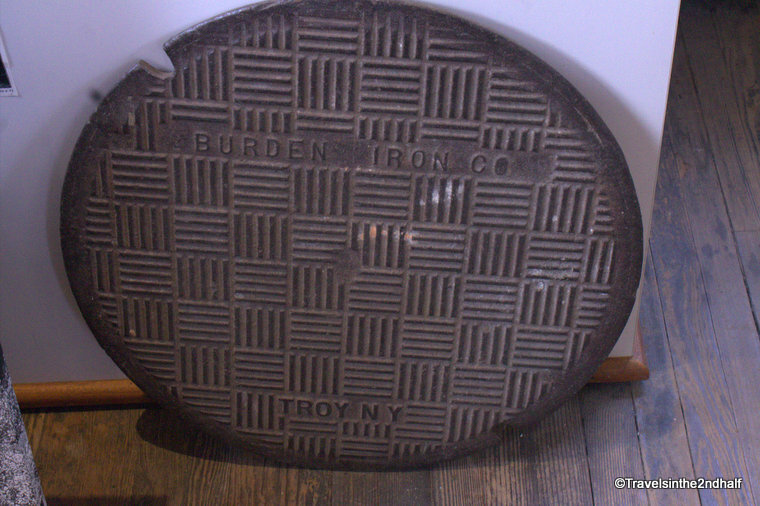 This is a phenomenal collection of artifacts and products from the entirety of Troy’s industrial history. 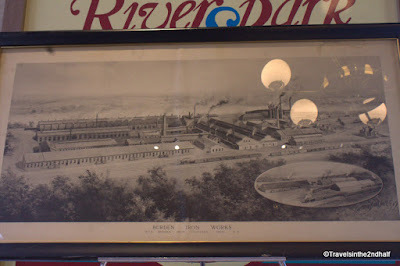 There are spikes and horseshoes from the Iron Works, along with a model of the entire factory. 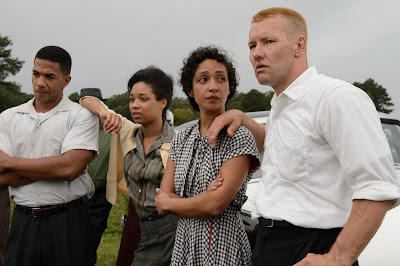 However, the there is much more. The museum has a collection of over twenty rototillers produced at the Garden Way's Troy-bilt factory. There is also a bell cast at the Meneely foundry, whose bells are used around the world. You will find wood burning stoves, fire hydrants and brass valves, and even beer, all made in Troy. There is even a working steam engine on display. Of the many treasures of Burden Iron Works Museum, the greatest is probably Michael P. Barrett, its director and tour guide in chief. Michael is a retired lawyer, and knows every piece in the collection, its history and its role in the development of the city of Troy. Michael is more than happy to spend time giving visitors an in depth tour of the collection. The museum is open most weekdays, from 10 AM to 6 PM, but call first. They have a small staff, and if they are called out to meeting, no one will be home. The suggested donation is $10. Take U.S. 4 to Main St, turn west on Main St and then North on Industrial Parkway. The Museum will be on the right.